After installing the new version of RM Studio, you will need to upgrade the database, located in the Database Settings. 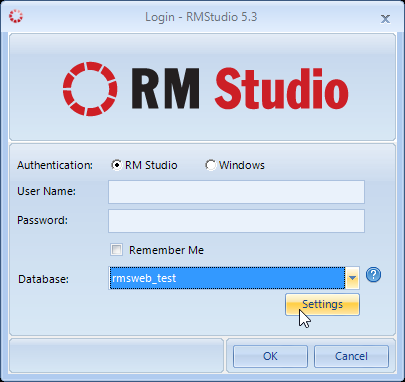 You have to close the application and restart RM Studio to access the login window. In the login window click the ‘Settings’ button to access the Database Settings. 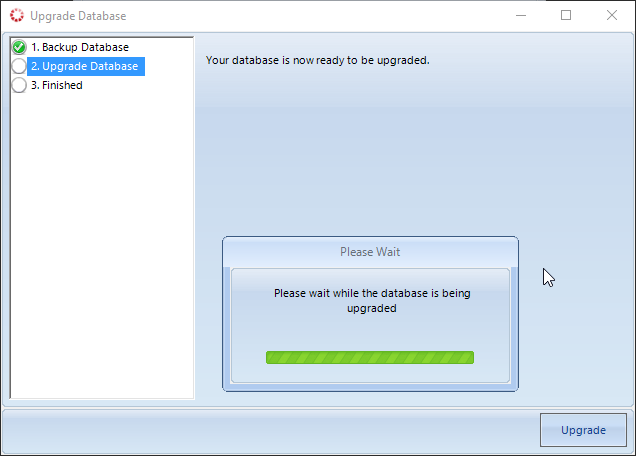 1) Select a database from the drop down that you want to upgrade for the new version. 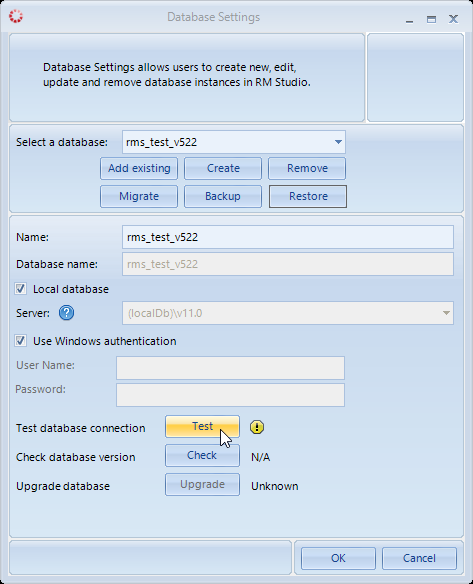 Keeping the database in the current location (locally stored on a PC or stored on a server), simply click ‘Test’ button to check the connection to the database. 2) When the green check mark appears next to the ‘Test’ button indicating the database connection has been made, you should notice the red number to the right of the ‘Check’ button and “Out of Date“ next to the ‘Upgrade’ button. Click the ‘Upgrade’ button. 3) A popup will appear asking for the Administrator Authentication Password. Enter the Administrator password and click ‘OK’ button. 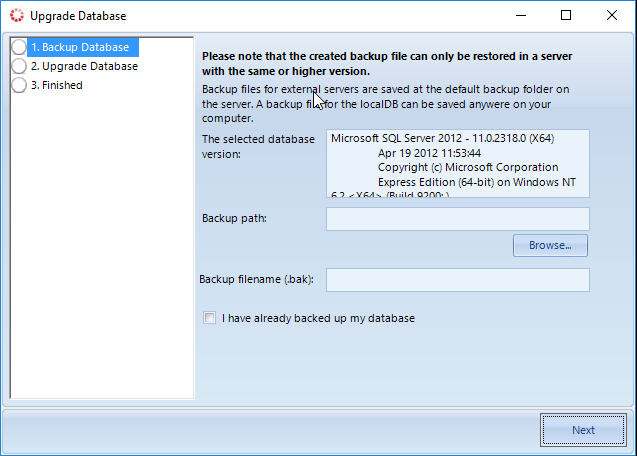 4) After the Administrator password is accepted another popup window appears asking the user to Backup the Database prior to the update.Choose the backup path and enter a name for the backup (.bak) SQL file. Click ‘Next’ button to complete the backup action. A green check will appear next to 1. Backup Database. We strongly recommend backing up the database at this point in the process, because a backup is never a bad thing. 5) Click the ‘Upgrade’ button. Once the database upgrade has completed click the ‘Finish’ button. 6) Once the upgrade action is complete you should notice the red number change to a green number and below that the Upgrade changes to green and the text on the right is “Upgraded”. Click ‘OK’ to complete the database upgrade.